The founder of the Sydney-based food charity OzHarvest has been named as the 2012 Australian Ernst & Young Entrepreneur Of The Year at an awards ceremony overnight. Ronni Kahn, who founded OzHarvest in 2004, was awarded the top prize in the Social Entrepreneur category among five other Australian entrepreneurs who were recognised in their respective categories. OzHarvest is a Not for Profit that rescues excess food which would otherwise be discarded. The excess food is distributed to charities supporting vulnerable people in Sydney, Newcastle, Adelaide and Brisbane. The judging panel said Kahn was a “very smart entrepreneur” who truly understands the concept of philanthropy and the importance of a Not for Profit fostering generosity and appreciation. “A good example of this is OzHarvest’s approach of individually phoning everybody who makes a donation to thank them, even if it is just a $10 donation,” the judges said. “Ronni Kahn has shown tremendous tenacity, energy and focus. 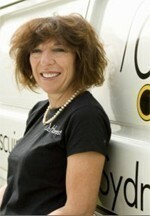 She has been able to garner a wide base of support for OzHarvest, both from within the food industry and beyond. 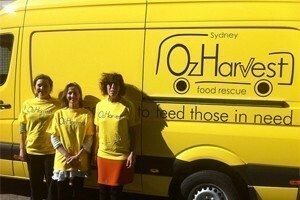 OzHarvest delivers over 320,000 meals per month in Sydney with a fleet of 11 vehicles. Australia-wide the organisation delivers 441,500 meals per month with a fleet of 15 vans, equating to 147 tonnes each month. Kahn said that the key to OzHarvest’s success is that it is a basic idea. “At some point everybody’s mother, father or grandparents have told them to eat their food because somewhere somebody is starving. I didn’t have to teach people anything, they instinctively knew it already what they needed was a way to join the bandwagon,” she said. “I wanted to personally make a difference and impact as many people as possible, so it seemed like the most obvious thing to do was look at my skills and see how I could best use them to help others. “I think to bring an entrepreneurial spirit to a Not for Profit you have to have been an entrepreneur in another life. Having started my own business from my garage and created a very successful event company, I was able to translate that knowledge into the social sector and nothing has been more exciting, stimulating or rewarding than this current period of social entrepreneurship,” Kahn said. Congratulating the winners, Ernst & Young Oceania chief executive and area managing partner Rob McLeod said entrepreneurs were the lifeblood of the Australian economy, creating new jobs, fuelling growth and driving innovation. “In our 12th year celebrating the Ernst & Young Entrepreneur Of The Year awards in Australia we are proud to once again recognise the significant contribution these successful entrepreneurs make to our business communities,” McLeod said. Kahn said one piece of advice she would give to social entrepreneurs who are just starting would be to understand the role and impact of a board and to choose the right board members. “It’s incredibly important if you are serious about running and creating a large organisation,” she said.